ABS brakes, Electronic Stability Control, Illuminated entry, Low tire pressure warning, Remote keyless entry, Traction control. Clean CARFAX. Avalanche 2008 Nissan Xterra S RWD 5-Speed Automatic 4.0L V6 DOHC 24V ****Price Includes $750 Finance Coupon****At Acura of Memphis, Tennessee we strive to provide outstanding professional service in all areas of our dealership. We serve Memphis, Nashville, St. Louis and even Little Rock, AR! For your next used or new car or truck, visit us at www.acuraofmemphis.com! Clean CARFAX. Crystal Red Metallic Tintcoat 2011 Chevrolet Cruze LTZ FWD 6-Speed Automatic Electronic with Overdrive ECOTEC 1.4L I4 DOHC VVT Turbocharged CARFAX One-Owner. 24/36 City/Highway MPG ****Price Includes $750 Finance Coupon****At Acura of Memphis, Tennessee we strive to provide outstanding professional service in all areas of our dealership. We serve Memphis, Nashville, St. Louis and even Little Rock, AR! For your next used or new car or truck, visit us at www.acuraofmemphis.com! CVT. Clean CARFAX. Brilliant Silver 2010 Nissan Murano SL FWD CVT 3.5L V6 DOHC 24V ****Price Includes $750 Finance Coupon****At Acura of Memphis, Tennessee we strive to provide outstanding professional service in all areas of our dealership. We serve Memphis, Nashville, St. Louis and even Little Rock, AR! For your next used or new car or truck, visit us at www.acuraofmemphis.com! 3.5L V6 SOHC i-VTEC 24V, Leather. Priced below KBB Fair Purchase Price! White 2010 Honda Accord EX-L 3.5 FWD 5-Speed Automatic with Overdrive 3.5L V6 SOHC i-VTEC 24V 19/28 City/Highway MPG ****Price Includes $750 Finance Coupon****At Acura of Memphis, Tennessee we strive to provide outstanding professional service in all areas of our dealership. We serve Memphis, Nashville, St. Louis and even Little Rock, AR! For your next used or new car or truck, visit us at www.acuraofmemphis.com! CVT with Xtronic. Odometer is 24054 miles below market average! Super Black 2009 Nissan Murano SL FWD CVT with Xtronic 3.5L V6 DOHC 24V ****Price Includes $750 Finance Coupon****At Acura of Memphis, Tennessee we strive to provide outstanding professional service in all areas of our dealership. We serve Memphis, Nashville, St. Louis and even Little Rock, AR! For your next used or new car or truck, visit us at www.acuraofmemphis.com! Cloth. Urban Titanium Metallic 2013 Honda Civic LX FWD Compact 5-Speed Automatic 1.8L I4 SOHC 16V i-VTEC 28/39 City/Highway MPG ****Price Includes $750 Finance Coupon****At Acura of Memphis, Tennessee we strive to provide outstanding professional service in all areas of our dealership. We serve Memphis, Nashville, St. Louis and even Little Rock, AR! For your next used or new car or truck, visit us at www.acuraofmemphis.com! AWD, Ivory w/Leather Seat Trim. Clean CARFAX. Beige 2008 Lexus RX 350 AWD 5-Speed Automatic with Overdrive 3.5L V6 SFI ****Price Includes $750 Finance Coupon****At Acura of Memphis, Tennessee we strive to provide outstanding professional service in all areas of our dealership. We serve Memphis, Nashville, St. Louis and even Little Rock, AR! For your next used or new car or truck, visit us at www.acuraofmemphis.com! 1.5L I4 SOHC i-VTEC. Clean CARFAX. Gray 2013 Acura ILX Hybrid 1.5L FWD CVT 1.5L I4 SOHC i-VTEC 39/38 City/Highway MPG ****Price Includes $750 Finance Coupon****At Acura of Memphis, Tennessee we strive to provide outstanding professional service in all areas of our dealership. We serve Memphis, Nashville, St. Louis and even Little Rock, AR! For your next used or new car or truck, visit us at www.acuraofmemphis.com! Priced below KBB Fair Purchase Price! Clean CARFAX. Moonlight White 2013 Nissan Pathfinder SV FWD CVT with Xtronic 3.5L V6 CARFAX One-Owner. 20/26 City/Highway MPG ****Price Includes $750 Finance Coupon****At Acura of Memphis, Tennessee we strive to provide outstanding professional service in all areas of our dealership. We serve Memphis, Nashville, St. Louis and even Little Rock, AR! For your next used or new car or truck, visit us at www.acuraofmemphis.com! FWD. Odometer is 7465 miles below market average! Clean CARFAX. White Diamond Clearcoat 2011 Buick Enclave CXL 1XL FWD 6-Speed Automatic 3.6L V6 VVT Direct Injection ****Price Includes $750 Finance Coupon****At Acura of Memphis, Tennessee we strive to provide outstanding professional service in all areas of our dealership. We serve Memphis, Nashville, St. Louis and even Little Rock, AR! For your next used or new car or truck, visit us at www.acuraofmemphis.com! Odometer is 50851 miles below market average! Clean CARFAX. Pearl White 2013 Nissan Maxima 3.5 S FWD CVT with Xtronic 3.5L V6 DOHC 24V CARFAX One-Owner. 19/26 City/Highway MPG ****Price Includes $750 Finance Coupon****At Acura of Memphis, Tennessee we strive to provide outstanding professional service in all areas of our dealership. We serve Memphis, Nashville, St. Louis and even Little Rock, AR! For your next used or new car or truck, visit us at www.acuraofmemphis.com! **10 YEAR 150,000 MILE LIMITED WARRANTY** see dealer for details, Light Gray Cloth. Odometer is 25904 miles below market average! Silver 2014 Toyota Camry L FWD 6-Speed Automatic 2.5L I4 SMPI DOHC CARFAX One-Owner. 25/35 City/Highway MPG ****Price Includes $750 Finance Coupon****At Acura of Memphis, Tennessee we strive to provide outstanding professional service in all areas of our dealership. We serve Memphis, Nashville, St. Louis and even Little Rock, AR! For your next used or new car or truck, visit us at www.acuraofmemphis.com! **10 YEAR 150,000 MILE LIMITED WARRANTY** see dealer for details, Renegade Latitude, 4D Sport Utility, FWD, Colorado Red, black Cloth. Priced below KBB Fair Purchase Price! Colorado Red 2017 Jeep Renegade Latitude FWD 9-Speed 948TE Automatic 2.4L I4 MultiAir CARFAX One-Owner. 22/30 City/Highway MPG ****Price Includes $750 Finance Coupon****At Acura of Memphis, Tennessee we strive to provide outstanding professional service in all areas of our dealership. We serve Memphis, Nashville, St. Louis and even Little Rock, AR! For your next used or new car or truck, visit us at www.acuraofmemphis.com! Ebony w/Perforated Milano Premium Leather Seat Trim. Odometer is 13227 miles below market average! Gray 2012 Acura TL 3.5 FWD 6-Speed Automatic 3.5L V6 SOHC VTEC 24V 20/29 City/Highway MPG ****Price Includes $750 Finance Coupon****At Acura of Memphis, Tennessee we strive to provide outstanding professional service in all areas of our dealership. We serve Memphis, Nashville, St. Louis and even Little Rock, AR! For your next used or new car or truck, visit us at www.acuraofmemphis.com! **10 YEAR 150,000 MILE LIMITED WARRANTY** see dealer for details. Odometer is 18124 miles below market average! Clean CARFAX. Super Black 2014 Nissan Rogue SL FWD CVT with Xtronic 2.5L I4 DOHC 16V 26/33 City/Highway MPG ****Price Includes $750 Finance Coupon****At Acura of Memphis, Tennessee we strive to provide outstanding professional service in all areas of our dealership. We serve Memphis, Nashville, St. Louis and even Little Rock, AR! For your next used or new car or truck, visit us at www.acuraofmemphis.com! Navigation / GPS, DVD / Rear Entertainment with Headsets, **10 YEAR 150,000 MILE LIMITED WARRANTY** see dealer for details, black Leather. Odometer is 8721 miles below market average! Clean CARFAX. Bright White Clearcoat 2014 Chrysler Town & Country Touring-L 30th Anniversary FWD 6-Speed Automatic 3.6L V6 24V VVT CARFAX One-Owner. 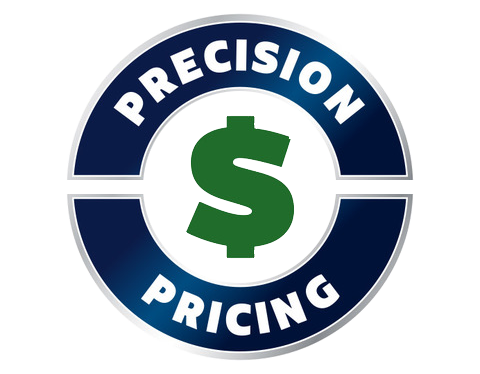 ****Price Includes $750 Finance Coupon****At Acura of Memphis, Tennessee we strive to provide outstanding professional service in all areas of our dealership. We serve Memphis, Nashville, St. Louis and even Little Rock, AR! For your next used or new car or truck, visit us at www.acuraofmemphis.com! Priced below KBB Fair Purchase Price! Black 2016 Acura ILX 2.4L FWD 8-Speed Dual-Clutch 2.4L I4 DOHC i-VTEC 16V 25/36 City/Highway MPG ****Price Includes $750 Finance Coupon****At Acura of Memphis, Tennessee we strive to provide outstanding professional service in all areas of our dealership. We serve Memphis, Nashville, St. Louis and even Little Rock, AR! For your next used or new car or truck, visit us at www.acuraofmemphis.com! **10 YEAR 150,000 MILE LIMITED WARRANTY** see dealer for details. Odometer is 45409 miles below market average! Clean CARFAX. Red 2016 Honda HR-V LX FWD CVT 1.8L I4 SOHC 16V i-VTEC CARFAX One-Owner. 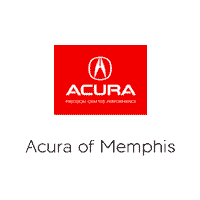 28/35 City/Highway MPG ****Price Includes $750 Finance Coupon****At Acura of Memphis, Tennessee we strive to provide outstanding professional service in all areas of our dealership. We serve Memphis, Nashville, St. Louis and even Little Rock, AR! For your next used or new car or truck, visit us at www.acuraofmemphis.com! **10 YEAR 150,000 MILE LIMITED WARRANTY** see dealer for details. Priced below KBB Fair Purchase Price! Green 2013 Toyota Highlander Limited FWD 5-Speed Automatic with Overdrive 3.5L V6 DOHC Dual VVT-i 24V ****Price Includes $750 Finance Coupon****At Acura of Memphis, Tennessee we strive to provide outstanding professional service in all areas of our dealership. We serve Memphis, Nashville, St. Louis and even Little Rock, AR! For your next used or new car or truck, visit us at www.acuraofmemphis.com! Leather, Heated Seats, **10 YEAR 150,000 MILE LIMITED WARRANTY** see dealer for details, 300 Limited, 4D Sedan, 3.6L 6-Cylinder SMPI DOHC, RWD, steel metallic clearcoat, black Leather. Clean CARFAX. steel metallic clearcoat 2016 Chrysler 300 Limited RWD 8-Speed Automatic 3.6L 6-Cylinder SMPI DOHC 19/31 City/Highway MPG ****Price Includes $750 Finance Coupon****At Acura of Memphis, Tennessee we strive to provide outstanding professional service in all areas of our dealership. We serve Memphis, Nashville, St. Louis and even Little Rock, AR! For your next used or new car or truck, visit us at www.acuraofmemphis.com!